The Honda Navi Adventure and Honda Navi Chrome are two new version of the Honda Navi which add more bling to the line-up. Essentially customisation options based on the standard variant, these were showcased back at the 2016 Auto Expo. I recently got to ride the Navi Adventure and Navi Chrome at the Goa Hunt organised by Goa Tourism and Honda Motorcycle and Scooter India Pvt Ltd and here is what I think about the Navi family. The Honda Navi Adventure and Honda Navi Chrome tries to add more bling to the lineup by emerging more youthful. The Honda Navi Adventure takes funkiness to a new level. The windscreen, the graphics, the handguards and underbelly guard are hip, unconventional and fashionable. The Honda Navi Chrome on the other hand try to bedazzle the eyes with lustrous chrome on a few body panels and around the headlamp. The luggage box was present in both the models while the Adventure variant gets a luggage rack in the rear. 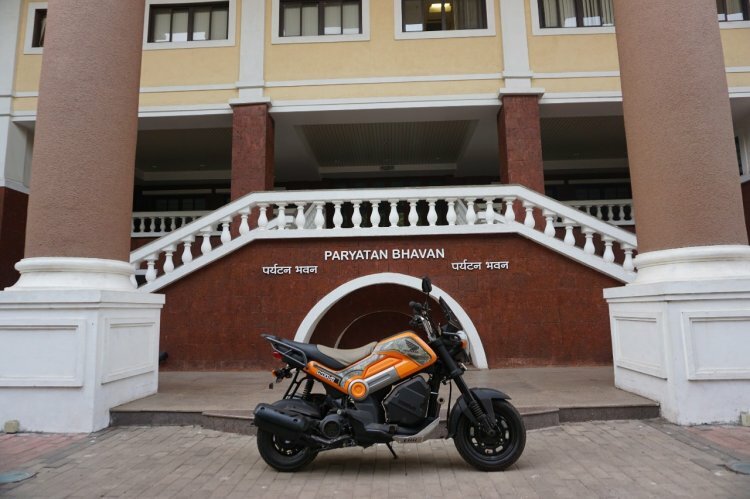 Mechanically, the Honda Navi Adventure and Honda Navi Chrome remains the same. The Honda Activa sourced powertrain displaces 109.19 cc and produces 8 bhp of power and 8.96 Nm of torque. While the numbers may not seem to be capable of waking of the enthusiast in you but has enough grunt to bring a smile on your face. In traffic the Honda Navi Adventure and Chrome remains just as exciting in traffic as the standard version. With its no-nonsense handling performance, filtering through traffic is a breeze and even the smallest of the gaps seems even more accessible. The Navi will literally make you go ninja style in city traffic. The Honda Navi is a gem in urban cities and will help you take on bumper to bumper traffic ninja style, filtering with ease. But highways just makes you wish for more grunt and stability. The acceleration is perfect for city bumper to bumper traffic although the top speed of around 80 km/h will be a limiting factor on empty stretches. But the Navi has not been made for commuting from one end of the city to another or on the highways. Rather, it is focused to be a ride for small point A to point B dashes, say to the nearby marketplace or your coaching centre. 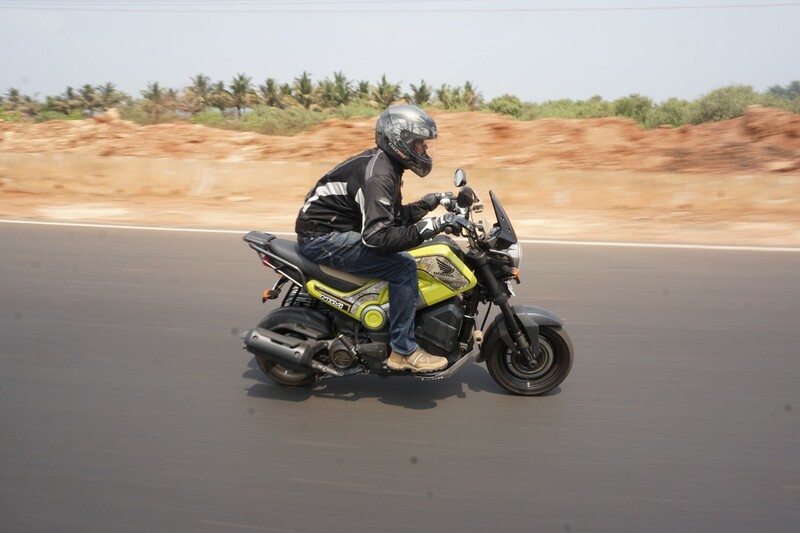 Also, while pillion comfort is not a major compromise, the Honda Navi is best experienced solo. The 1,286 mm wheelbase makes it feel planted in motion but the brakes could have offered more bite. The Honda Navi Chrome gets a subtle chrome treatment which has not been overdone. 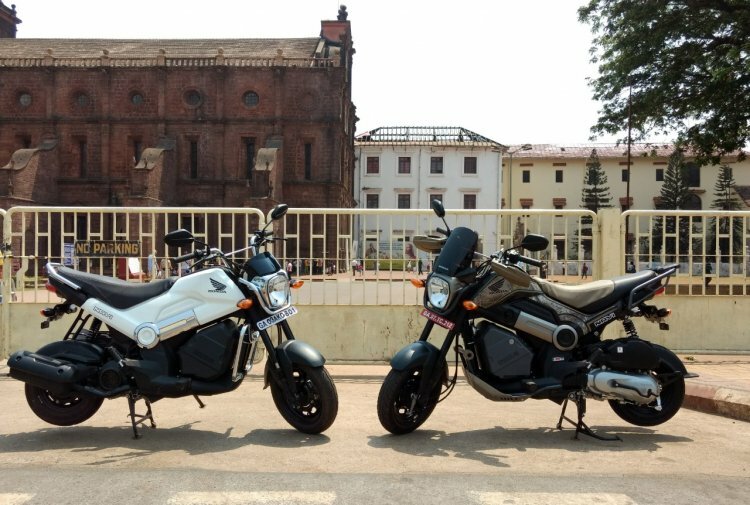 The Honda Navi Adventure and Honda Navi Chrome thanks to its refreshed appeal can be a hit amongst its target audience preeminently because of the unconventional looks which keeps the Navi family stand out from the plethora of traditional automatic scooters available in the market. The lack of a fuel gauge and the cumbersome lock though remain the two biggest problems. The Honda Navi Adventure gets an underbody guard, knuckle guard, rear grabrail and a visor to protect the rider from wind blast. 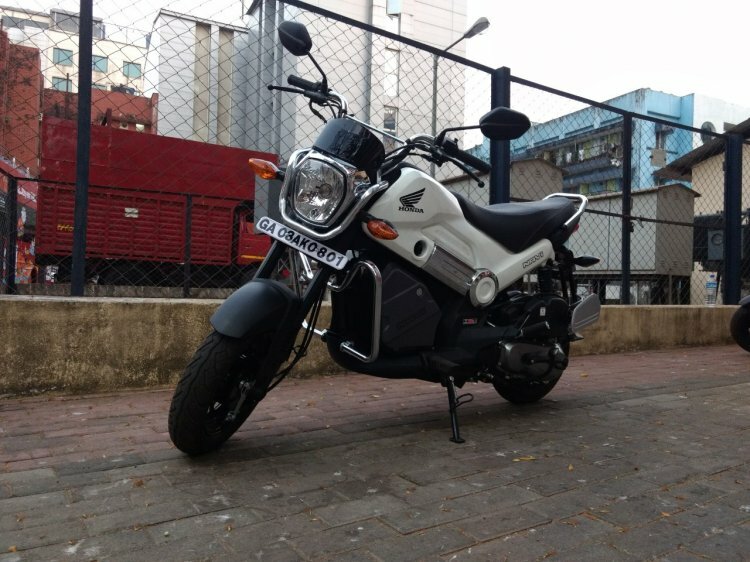 Honda Navi standard has been priced at INR 41,500 (ex-showroom, Delhi). Customisation options have been fairly successful and includes half of the sales. The new versions too are expected to add to the number. At INR 44,713 for the Honda Navi Chrome edition and INR 48,173 for the Honda Navi Adventure trim (both prices ex-showroom, Delhi), the crossovers do show a lot of potential.